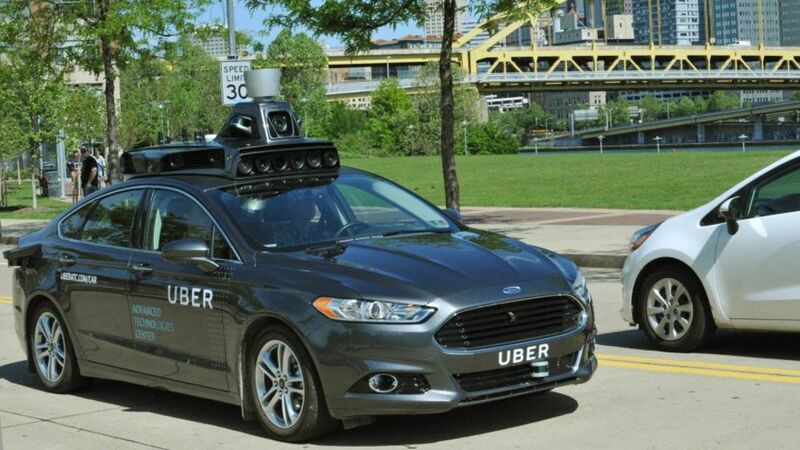 Uber is testing its self-proclaimed “self-driving” vehicles on California roads without complying with the testing requirements of California’s automated driving law. California’s Department of Motor Vehicles says that Uber is breaking that law; Uber says it’s not. The DMV is correct. Uber’s argument is textually plausible but contextually untenable. It exploits a drafting problem that I highlighted first when Nevada was developing its automated driving regulations and again when California enacted a statute modeled on those regulations. California’s statute defines “autonomous technology” as “technology that has the capability to drive a vehicle without the active physical control or monitoring by a human operator”—and yet the purpose of testing such a technology is to develop or demonstrate that consistent capability. Indeed, the testing provisions of the statute even require a human to actively monitor a vehicle that, by definition, doesn’t need active human monitoring. This linguistic loophole notwithstanding, the testing requirements of California’s law were intended to apply to aspirationally automated driving. If not, then those requirements would not reach any vehicle being tested when the law was enacted, any vehicle being tested today, or any “test” vehicle whatsoever. Uber understandably analogizes its activities to the deployment of Tesla’s Autopilot. In some ways, the two are similar: In both cases, a human driver is (supposed to be) closely supervising the performance of the driving automation system and intervening when appropriate, and in both cases the developer is collecting data to further develop its system with a view toward a higher level of automation. In other ways, however, Uber and Tesla diverge. Uber calls its vehicles self-driving; Tesla does not. Uber’s test vehicles are on roads for the express purpose of developing and demonstrating its technologies; Tesla’s production vehicles are on roads principally because their occupants want to go somewhere. The line between testing and deployment is blurry—and will only become more so as over-the-air updates and pilot projects become more common. Nonetheless, Uber’s activities are comfortably (or, for Uber, uncomfortably) on the side of testing. If I were advising Uber, I’d ask what its end game is and how its current posture in California advances that end game. Is it trying to create facts on the ground to which law may eventually conform? Establish a legal foundation for an argument about the legality in California of remotely monitored vehicles? Signal once again that it won’t be bound by conventional norms (even legal norms)? Uber has noted that “real world testing on public roads is essential … to gain public trust,” and yet California’s law was in large part about building this trust—in the technologies and their developers and among regulators and the public they serve. The statutory and regulatory testing provisions are far from perfect, but the registration and reporting requirements that Uber has eschewed seek the transparency through which trust can be earned. In contrast, Uber’s current posture is not building trust in its technologies, its practices, or its philosophy. That posture is also antagonizing California’s DMV and Office of the Attorney General. The state’s lawyers may well ask a judge for an injunction ordering Uber and its employees to stop their testing in the state. If a judge were to issue a temporary or permanent injunction, then Uber and any employees to whom the injunction applied would be in held in contempt if they nonetheless continued to test. That could subject them to fines, jail, and a misdemeanor charge. California directs that provisions of its penal code are to be “construed according to the fair import of their terms, with a view to effect its objects and to promote justice.” If the same construction is applied to the vehicle code, then some of the above statutory provisions may be a poor fit for Uber’s conduct—but then so too is Uber’s strictly textual argument. A law is often susceptible to a range of reasonable interpretations. Existing law in most states, for example, is probably consistent with many forms of automated driving—but the legal interpretations on which that conclusion rests can depend as much on the public perception of automated driving as they do on the specific language of the relevant laws. (Even so, Michigan in particular should take note here of the pitfalls of muddled laws.) Here, too, trust matters. Against this flexible background, laws specific to automated driving can actually be more restrictive than permissive. This is certainly true in California, and although I’ve criticized the regulations that unduly limit automated driving testing, that is the state’s prerogative. Uber does not need to test in California, but if it does, it must follow California’s laws.